13 Killed in Suicide Attack in Afghanistan 0 out of 5 based on 0 ratings. 0 user reviews. 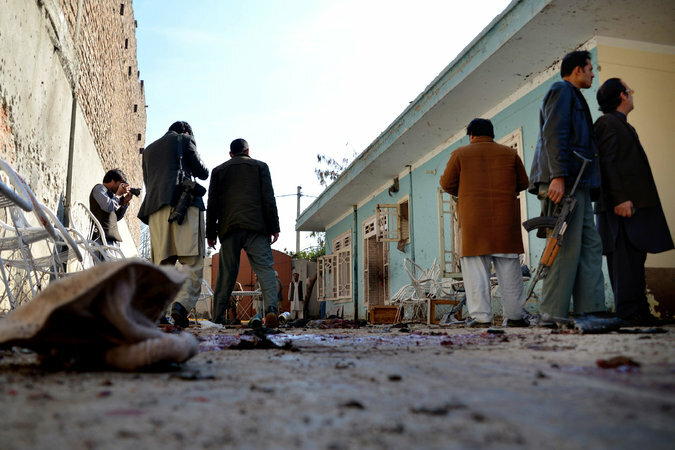 On 17th January 17, a suicide bomber blew himself up at the home of a local politician in Afghanistan. According to the authorities 13 people have been killed and 15 injured by the attack which took place in Jalalabad, capital of Nangarhar, eastern province of Afghanistan. A member of the provincial assembly, Mr. Zabiullah Zemarai told the western media that, 13 people were killed and 15 wounded in a suicide attack at the house of Obaiduallah Shinwari- a local leader of that province. Locals said, the son of Sinwari was among those who were killed by this attack but it left Mr. Shinwari unharmed. Zemerai also said that, the attacker blew himself during a local assembly named ‘Jigra’ of tribal leaders were taking place. According to some western media report, Taliban has denied involvement in this attack. Last week, Daesh claimed its first attack in the same city. And it was seen as a major advance by Daesh in a major urban center in Afghanistan; that killed a Pakistani consulate and seven more people. In recent days, the civil war in Afghanistan has been pumped up. It is now becoming a crucial bargaining chip between the retreating US hegemon, the powerful China, influential Pakistan, regional power Iran, arms buyer India and super power Russia.